For the Casserole Drop-off, we will be collecting frozen casseroles that students, faculty, and staff prepared at home. Please see the specific collection dates. 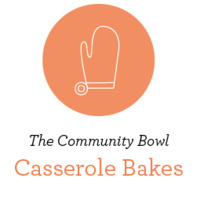 For more information regarding casserole prepartion and The Community Bowl's other initiatives, please visit www.goucher.edu/communitybowl.